HAIRPRINT Detoxifying Shampoos can be used Pre – HAIRPRINT treatment and should be used very carefully for colour treated hair. Some are not suited for colour treated hair. Please read the suggested use below per section. The detoxifying shampoos are Chelating, Exfoliating or Clarifying Shampoo. These shampoos remove residues that almost all hair care products on the market create and when used with colour treatments, use the Pre – HAIRPRINT Color Restorer (see Pre- HAIRPRINT Color Restorer Directions). If you have virgin or non – treated hair, use as directed below. See each section for intended use and direction. Our Made Safe Certified shampoo and conditioner options are universal options and are suitable for all hair types and colors. The shampoos and conditioners are safe to use on virgin and colour treated hair. Use either before or after the HAIRPRINT Color Restorer treatment. Shampoos to use at any time, either before or after HAIRPRINT Colorer Restorer treatment include – Amla Shampoo, Bio – Active Kelp Combo, Fermented Bamboo Combo. Use once or twice depending on need, no more than 24 hours before you start HAIRPRINT Color Restorer. Use no other shampoo, conditioner or styling product. Within 24 hours or less, use included Prepare packet and mix in your HAIRPRINT Color Restorer kit as directed. Use: Pre-HAIRPRINT for new growth or non-colour treated hair you may use every 7-10 days. 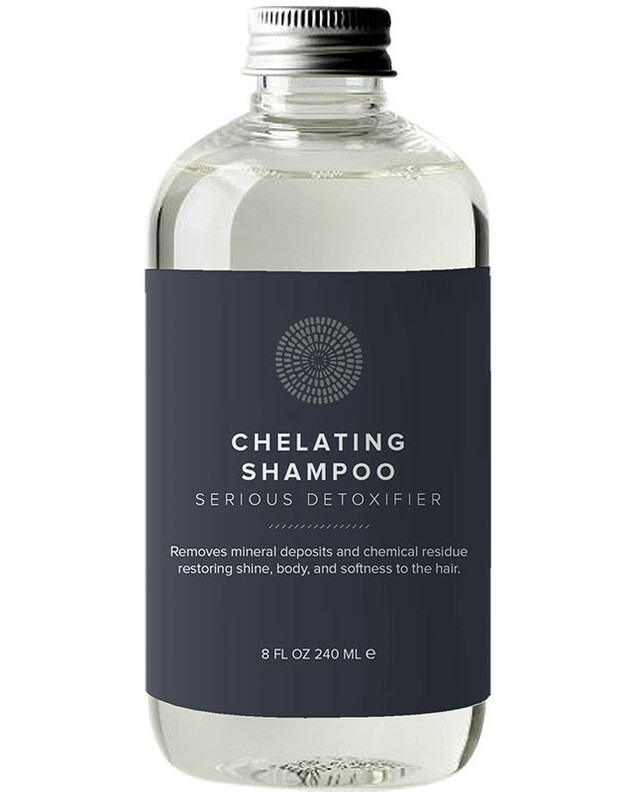 Chelating Shampoo – Performs the job of a clarifying shampoo plus the job of removing mineral build-up from hard water and chlorine deposits. Over 80% of the country has various forms of hard water, or well water, which also has mineral content. Use: Pre-HAIRPRINT for virgin or non-colour treated hair you may use every 3-8 weeks. See our Residue Removal article for use regarding chlorine removal post-HAIRPRINT Color Restorer. Exfoliating Shampoo – Gentle non-irritating cleansers combined with scalp exfoliation. Removes dry skin cells/residue/minerals/chlorine build-up that blocks scalp follicles and hair cuticles. Stimulates and promotes a healthy and clean scalp. For colour treated hair: Use Pre-HAIRPRINT or pre-color. For colour treated hair: if you wish to use Post HAIRPRINT Color Restorer we suggest using a layer of conditioner applied as protection, especially on your roots, before use and this should help it from removing too much colour post application. We do not recommend use in this manner more than every 7-10 days. For non-color treated hair: It can be used daily or as needed to help heal and restore the scalp and can be added to one of our daily use shampoos for a boost of exfoliating power every 7-10 days. Recommended use: Every 2-3 days as needed, but gentle enough for everyday use. All were created to restore and balance the scalp over time. It works with all hair types, colour treated hair and virgin hair. Fermented Bamboo – Rich in natural silica and biotin, which helps restore and promote volume and growth. It also supplies slip, frizz control, softening and shine to the hair. For sensitive scalps-, helps heal and protect. Amla – Rich in moisture, penetrates the hair, nourishes the follicle, conditions your locks, adds lustre, used for millennia to stimulate healthy hair growth. Treats dandruff, scalp conditions, and dryness. Conditioner can prevent hair loss and breakage when applied to the longer portions of the hair. Bioactive Marine Kelp – Repairs and restores. A moisturising antioxidant-rich formula. Excellent for dry scalps and nutrient deficient hair. Promotes cell health, stimulates collagen production and provides powerful antioxidant properties for scalp protection. It is highly emollient and particularly useful to smooth the hair shaft, reduce frizz and increase radiance. If you’re having trouble deciding which shampoo combo you like, feel free to mix it up! What is the pH balance of the Shampoo and Conditioner? Our scalp oil (aka sebum) and hair have a pH between 4.5 and 5.5. This natural acidity prevents fungi and bacteria from growing in the hair and on the scalp. It also keeps the cuticle closed and healthy. Ideally, you want your shampoo and conditioner to be between 5.0 -6.0, to match the natural balance in the water. High alkaline (.i.e. pH 12 -9) and acidic shampoos ( i.e. pH 1 – 4), when used regularly, can cause a pH imbalance of the scalp and hair. This adds to hear breakage and weakness. Getting the right balance of the scalp and its oils aids healthy hair. Residue encourages fungal and bacterial growth, however; removing residue ensures that your own treatment products and our work better on your hair, as well as making sure that the hair is free of coatings prior to using HAIRPRINT. When you change to new products, please allow 3 – 4 weeks of use to determine the efficacy and benefit of the product on your hair and scalp. Detox Line- use Pre-HAIRPRINT Color Restorer. Made Safe Certified. Pre-HAIRPRINT Directions: Use once or twice depending on need, no more than 24 hours before you start HAIRPRINT Color Restorer. Use no other shampoo, conditioner or styling product. When ready use Prepare packet and mixes as directed. For non-color treated or virgin hair: Exfoliating or Clarifying, can be used every 7-10 days. Chelating every 3-8 weeks. Our Made Safe Certified shampoo and conditioner options are universal options are suitable for all hair types and colours. The shampoos and conditioners are safe to use on virgin and colour treated hair and can be used either before or after the HAIRPRINT Color Restorer treatment. Recommend Use: every 2-3 days to restore balance to the hair and scalp. When you change to new products, the scalp can sometimes over produce oils (sebum) especially if you are using shampoo every day. Please allow 3 – 4 weeks of use to normalise. In the meantime use 1 part baking soda to 4 parts of corn starch to help absorb oils between washings. Feel free to add a few drops of your favourite essential oil if you like! One can use the HAIRPRINT Detoxifying Shampoos pre – HAIRPRINT treatment. It should be used very carefully for colour treated hair. Please note that some shampoos are not suited for colour treated hair. Please read the suggested use below per section. These shampoos remove residues that almost all hair care products on the market create. We use these shampoos pre-HAIRPRINT Colour Restorer application ( see Pre- HAIRPRINT Color Restorer Directions). If you have virgin or non – treated hair, use shampoos as directed below. See each section for intended use and guidance. Our Made Safe Certified shampoo and conditioner options are universal options and are suitable for all hair types and colours. The shampoos and conditioners are safe to use on virgin and colour treated hair and can be utilised either before or after the HAIRPRINT Colour Restorer treatment. The Shampoos that can be employed anytime-either before or after HAIRPRINT Colour Restorer is – Amla Shampoo, Bioactive Kelp Combo, Fermented Bamboo Combo. Performs the job of a clarifying shampoo plus the job of removing mineral build-up from hard water and chlorine deposits. Over 80% of the country has various forms of hard water, or well water, which also has mineral content. Use: Pre-HAIRPRINT. For virgin or non-colour treated hair you may use every 3-8 weeks. See our Residue Removal article for use regarding chlorine removal post – HAIRPRINT Colour Restorer. Next Post Next post: What is porosity of the hair and how can I fix it?